Mr Fakir Syed Aijazuddin, OBE, FCA, was born in 1942. He was educated at Aitchison College (Lahore), and at Berkhamsted School (Herts. ), UK., and qualified as a Chartered Accountant in 1965. His wife Shahnaz is a well-known author, and they have three children – Momina, Mubarika and Komail. His professional assignments in Pakistan have included the planning and establishing the engine manufacturing facility at Bela (Balochistan) in 1971-3, the progressive manufacturing programme for Massey Ferguson tractors in 1973-4, and the establishment of the National Fertiliser Corporation of Pakistan (NFC), following the reorganisation of the public sector in 1974. As its Director Finance & Planning, he was responsible for the financial management of three fertilizer units at Daudkhel, Faisalabad and at Jaranwala, and the execution of three major fertilizer complexes at Multan, Mirpur Mathelo and Haripur Hazara. As Head of Personnel, he rationalized the orderly transfer of PIDC employees to the successor corporation/units and developed the pay-scales applicable to all public sector corporations under the control of the then Ministry of Production. During the nine years (1980-89) that he spent as Group Controller of the Abu Dhabi National Oil Company in Abu Dhabi, he developed the corporate and financial management policy applicable to all its ten constituent Directorates (including the Business Lines of Oil / Gas Exploration & Production, Hydrocarbon Processing and Marketing). He represented ADNOC on the Boards of most of its 22 subsidiary companies. Since returning to Pakistan in 1989, he has been Chairman and CEO of International General Insurance (IGI) and CEO of First International Investment Bank Ltd., both companies in the Packages Group. He has also served on the Boards of the Lahore Stock Exchange, Oil & Gas Development Company Ltd., and Pakistan Telecommunications Corporation Ltd. (PTCL), of National transmission & Distribution Company Ltd. (a WAPDA company), Bata Pakistan Ltd, and STEDEC. He has taught in Financial Accounting and Management Communications at Lahore University of Management Sciences (LUMS), and Financial Accounting at FCC University, Lahore. Between 2006 and 2008, he was a member of the Academic Council at the National School of Public Policy, Lahore, and as Directing Staff Faculty responsible for teaching International Relations. He served as Minister for Culture, Tourism and Environment in the interim Punjab Cabinet from November 2007 to April 2008. 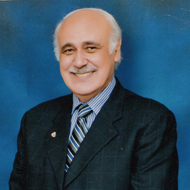 His last professional assignment was as Principal Aitchison College, Lahore (2008-2012). Since 1994, he has been the Honorary British Consul for the United Kingdom at Lahore, in recognition of which he was awarded the OBE in 1997. He was also the Chairman, Executive Committee of the Lahore Museum, an International Councillor of the Asia Society (New York) and the Country Representative for Asia House, London, and a Fellow of the National College of Arts, Lahore.